The Head Gravity tennis string set is designed to maximise spin and help you control each shot better. This set offers a blend of monofilament triangular and round strings, with the triangular main string made to maximise the bite you get on the ball. The round cross strings enhance snap-back. 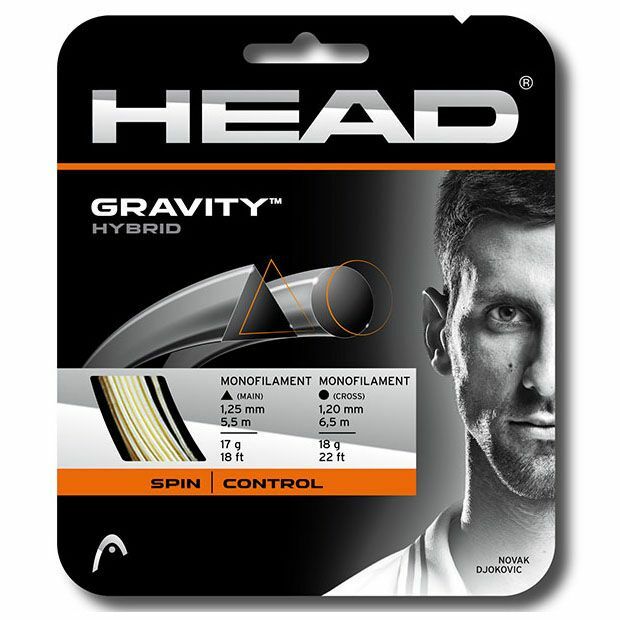 for submitting product information about Head Gravity Tennis String Set We aim to answer all questions within 2-3 days. for submitting product information about Head Gravity Tennis String Set. We aim to answer all questions within 2-3 days. If you provided your name and email address, we will email you as soon as the answer is published. for submitting product review about Head Gravity Tennis String Set.